June 2, 2016 | Matthew R. Arnold, Esq. Authorities in Lumberton, North Carolina say a 41-year-old man died late last week when his motorcycle was involved in an accident. The crash occurred in front of a Baptist church late one evening. Police say they suspect speed was a factor and that the injuries suffered by the man were severe enough that he was pronounced dead at the scene of the crash. A quick Google search reveals the latest crash is far from a rare occurrence. Another motorcyclist was involved in a deadly accident just a week prior in Lakeview, North Carolina. He was 39 years old. A few weeks before that, two motorcycles were involved in a wreck in Davidson County, North Carolina, resulting in the death of one of the men. Though the problem is plenty serious in North Carolina, states all across the country are grappling with how to combat a rising number of motorcycle accidents and deaths. According to the Governors Highway Safety Association, motorcycle crashes were up last year and were up dramatically. The GHSA says that there were 5,000 motorcycle deaths last year, making 2015 the first time in years that the number of deaths exceeded 5,000. Numbers in 2015 were up sharply from 2014, almost 10 percent. That breaks down to an additional 500 dead motorcyclists last year than the year before, truly tragic numbers. According to the GHSA, there are likely many reasons for the rising motorcycle fatalities. For one thing, distracted drivers pose a serious danger to motorcyclists, just like they do to those in passenger vehicles. The increasingly common behavior of texting and talking while driving represents one serious risk factor to unsuspecting motorcyclists. Another issue is that motorcycle sales continue to increase, meaning the number of motorcyclists on the road is also on the rise. The GHSA also lists problems with drunk driving, speeding and lax licensing issues as contributing factors to the rise in motorcycle fatalities. 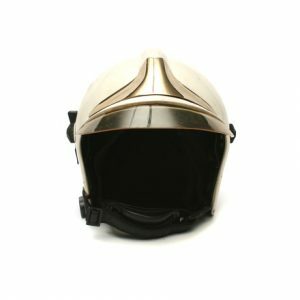 Finally, the GHSA believes that a continued weakening of federal motorcycle helmet laws plays a large role in the increase in number of deaths. Back in 1967, the federal government required states to enact universal motorcycle helmet laws to qualify for certain highway safety funds. By 1975, almost every state had complied. The following year, Congress eliminated penalties for noncompliance and states almost immediately begin relaxing their laws. Currently only about half of all states require the use of motorcycle helmets for all riders. Study after study has shown that the single best thing a motorcyclist can do to improve his or her chance of surviving a crash is to wear a helmet. Each year, ten times more unhelmeted motorcyclist die in states without universal helmet laws than in states with such laws. This means that if lawmakers in those states without such helmet laws would only consider adopting more strict measures, hundreds of lives could potentially be saved.